We would like to introduce ourselves as a full-fledge automobile workshop which has an expertise in maintenance and service of all kinds of Indian and Imported vehicles. 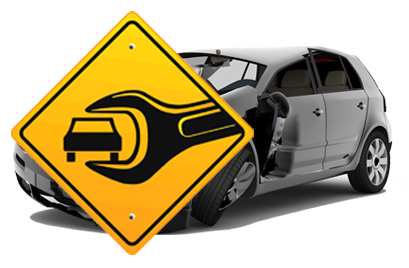 We are glad to inform you that our experience enables us to tackle almost all sorts of vehicles and even the most complicated problems in them very successfully. We also are well equipped with all the required tools and machinery like Air-Compressors, Car washer, hydraulic lift, two post lift, alternator and battery testers, loose tools, car polishing and painting equipment, Computer Scanning Equipment etc. Our workshop is located at a prime location on the main road which is the busiest road in Charkop. Moreover it is a separate plot of almost 4500 sqft which is fully constructed. Established in 1983 with a “Motto” “CREATIVITY LEADS TO SATISFACTION”, we have been constantly upgrading our services in the field of automobiles making us a conglomerate company. Address: 97/B, Govt Industrial Estate, Hindustan Naka, Charkop, Kandivali West. Mumbai 400067.
: 4, New Link Rd, Veena Sitar, Mohan Nagar, Kandiwali West, Mumbai, Maharashtra 400067. Mumbai 400067.